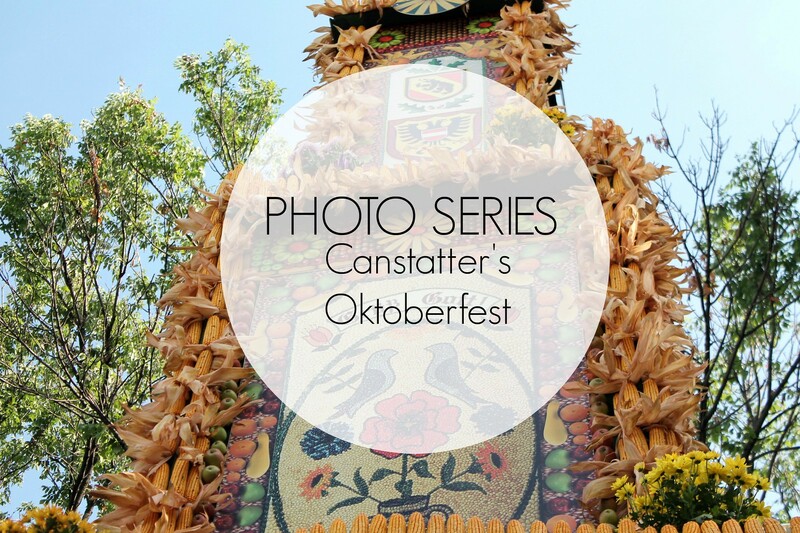 Every Labor Day weekend, without fail, we attend the Oktoberfest festivities at Canstatter's Volkfest Verin in Northeast Philly. This past holiday weekend was no different. Miniature in scale to the Volkfests in Germany, there was still plenty of authentic German food, beer, and festivities to enjoy including a German band, Mummers String Band, games, and rides for kids (and adults still the size of kids). 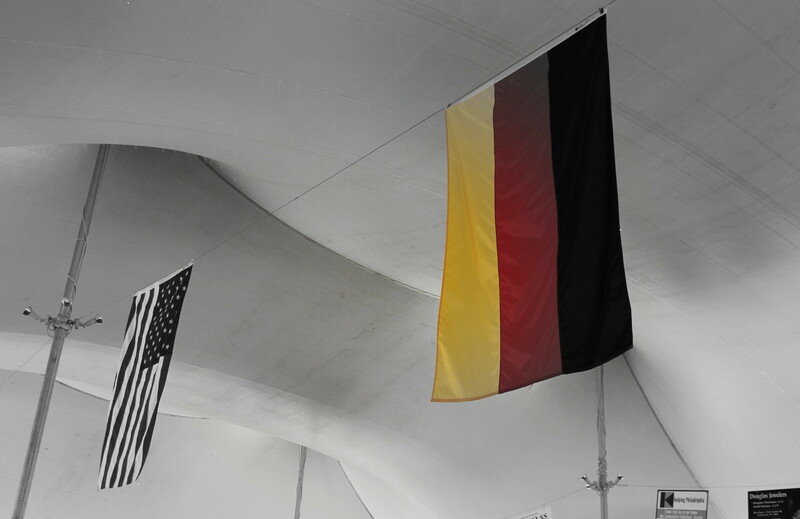 The three-day festival is the oldest German Volksfest in the United States, with this year being the 143rd annual festival. 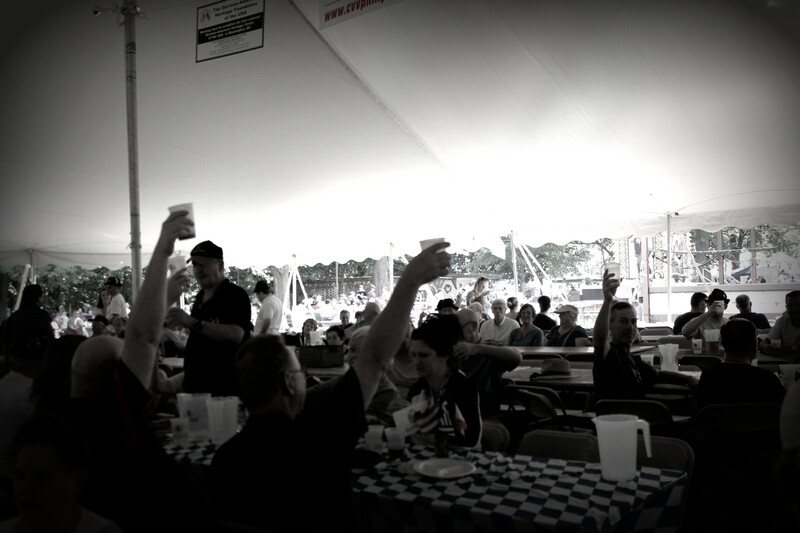 It is one of the first in a series of Oktoberfest festivities in the tri-state area. 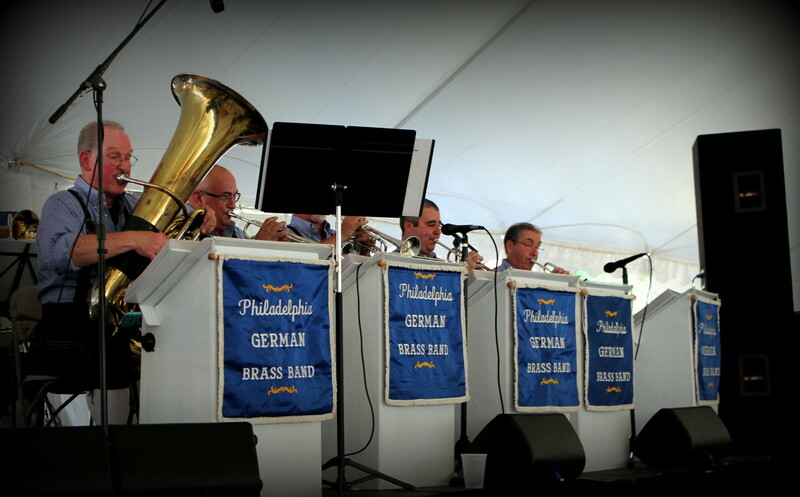 The Cannstatter Volksfest Verein is a German-American benevolent society founded in Philadelphia in 1873. 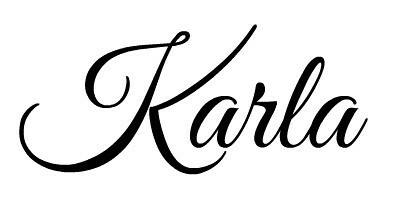 It was started by a group of German-American businessmen whose stated goals of the group were to uphold German culture, sociability, and charity through having a yearly festival and using the funds raised to donate to needy institutions and individuals. As German immigration has all but come to an end in the United States, the activities are more about preserving German culture in the community now. 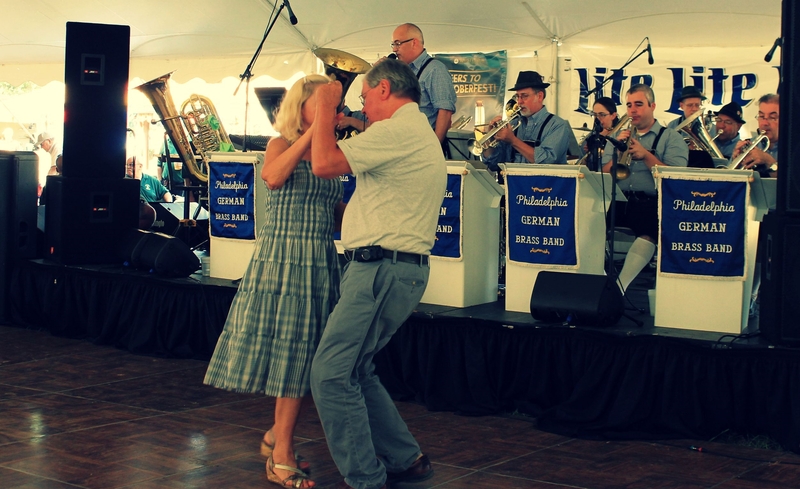 They host an assortment of themed festivals, concerts, and weekly dinners/dances reminiscent of Lawrence Welk reruns. 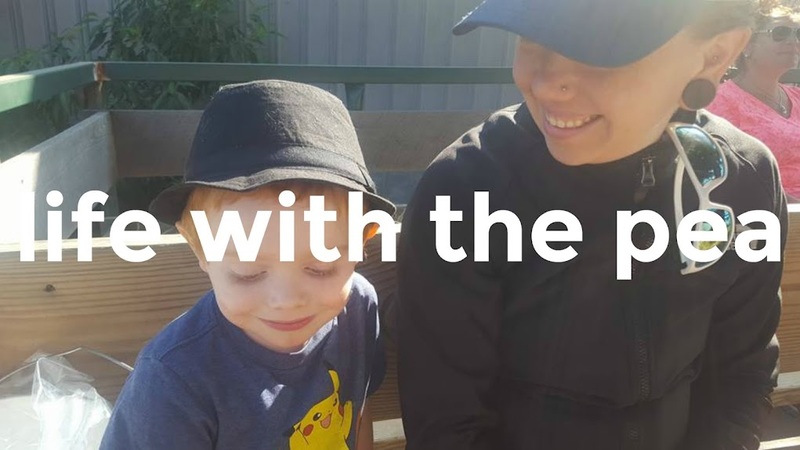 We began going to the festival about three years ago when the Pea was just a little baby...a little pudgy baby who was not yet able to run and bounce and pull mommy and daddy in every direction. Terry's father is a member of the organization and with a friend visiting from out of town that year we decided to try something different that the usual bbq and fireworks. Despite the fact that it is always 90-something degrees out and incredibly humid every year, Eamon absolutely loves the music where as Terry & I mostly enjoy the plates of bauernwurst and endless pitchers of Warsteiner. We usually end up hooking up with friends and/or family at the event, a few of which have kids of their own, and, as usual, I spend a lot of time chasing them about camera in hand trying to grab a few moments to share. Being that Eamon is three now, I have been spending more time with the chasing aspect rather than the photography part, leaving me a little bit rusty at times in my shots. Nevertheless, there were still a few great snaps I was able to get while the kids danced about. I had an amazing idea that morning to grab a bag of balloons I picked up at the dollar store and throw them in my backpack for the trip. 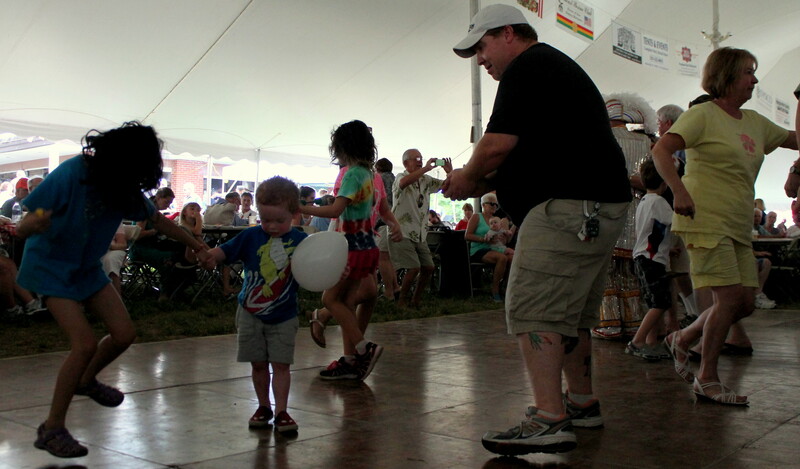 I think that day I blew up about 50 balloons giving them to just about every kid at the festival. 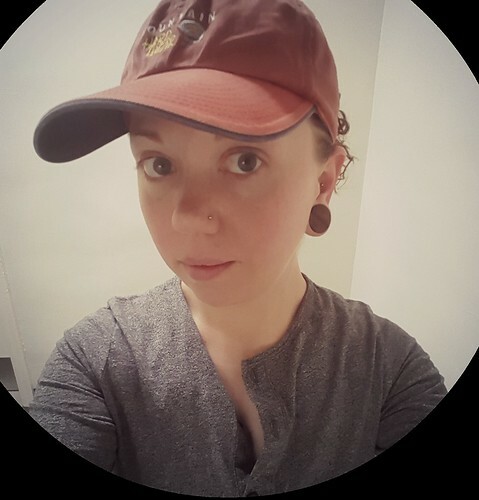 I felt like a party clown without the hideous makeup giving toddlers balloons while their parents tried to figure out why I was doing what I was doing but all in all happy for their kid to have something to play with while they sat and ate. The bands are one of my favorite parts of the festival. 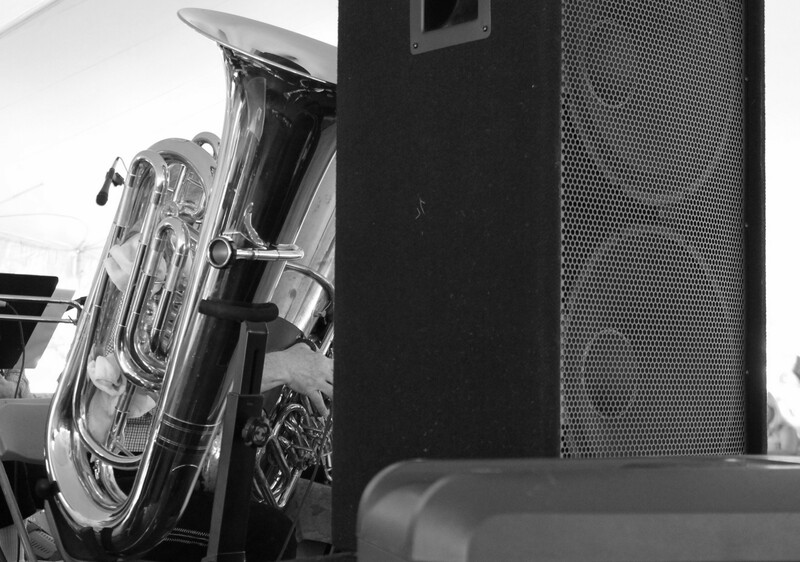 There is always an authentic German brass band with lots of polka-playing and traditional tunes. And being that we are in Philadelphia, there is always a Mummers string band. After all, the word "mummer" is German for "one who makes diversion in disguise; a masker; a buffon." 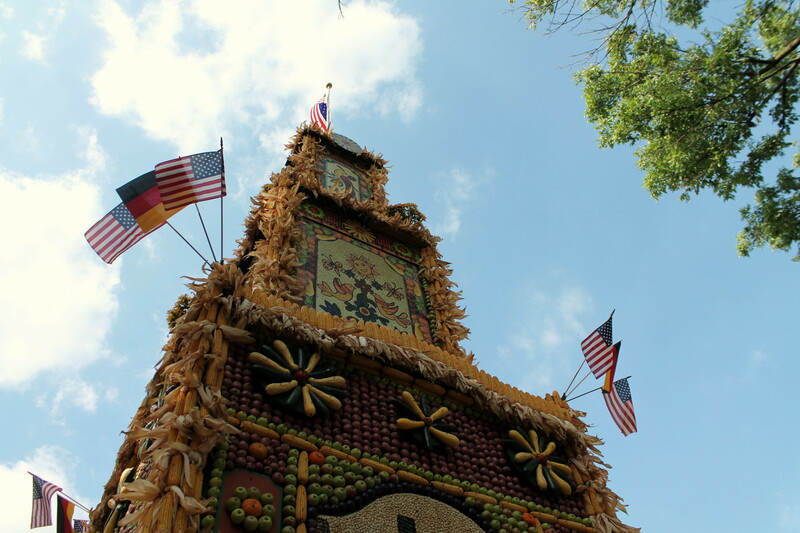 My other favorite of the festival is the centerpiece Fruchtsaule, or fruit column, composed of layers of dried fruits and vegetables out of which a tower formation is created. Each layer graphically represents some significant aspect of German culture or history. 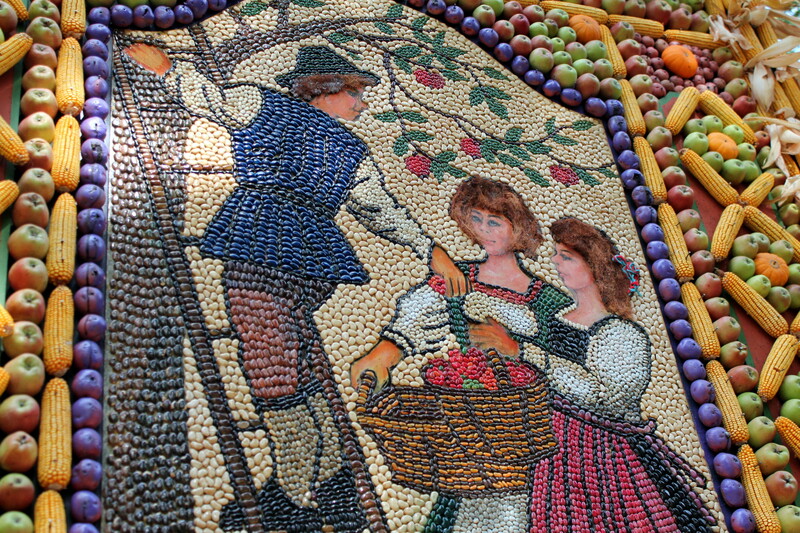 The characters painted with the foods are just like illustrations out of Hansel and Gretel and other German classics. They have so much life and color to them you cannot help to be drawn into their stories. At the base of this column, people dance and children play. A reenactment supposedly takes place every year, but I have yet to witness it. 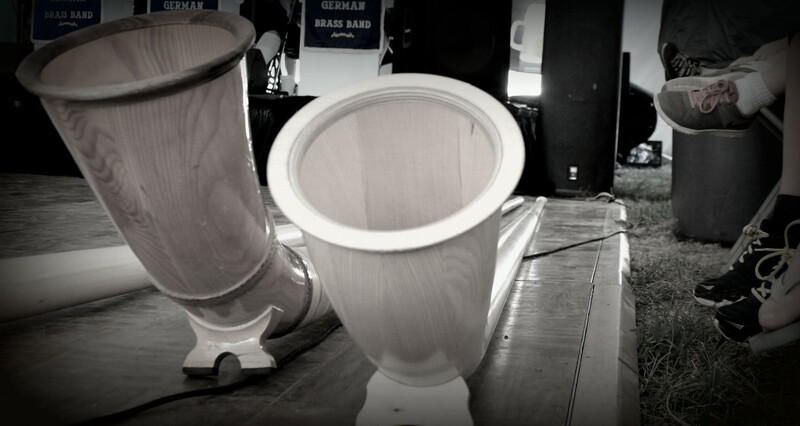 In addition to the festivities, there are also vendors selling handmade German items such as hats, clothing, clocks, wood figurines, baskets and more. 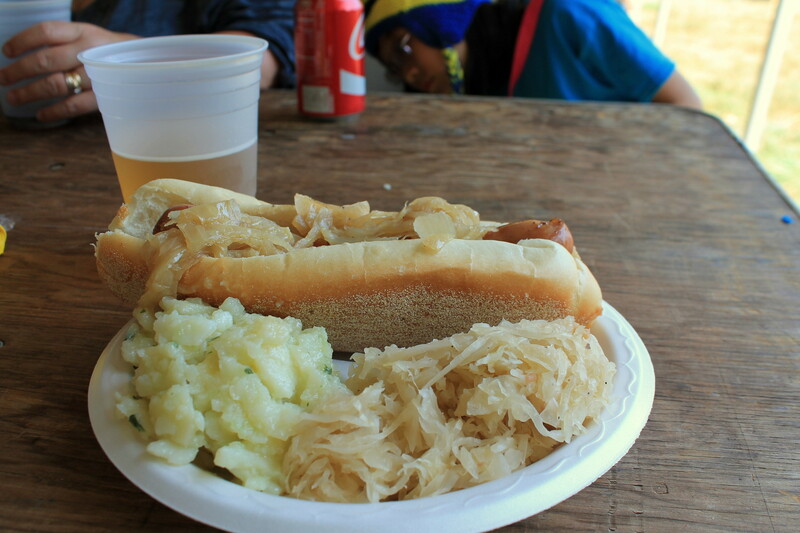 Aside from the Christmas Villiage, it is probably the biggest gathering of German culture in the Greater Philadelphia area and certainly worth a visit should you be in the neighborhood next Labor Day.